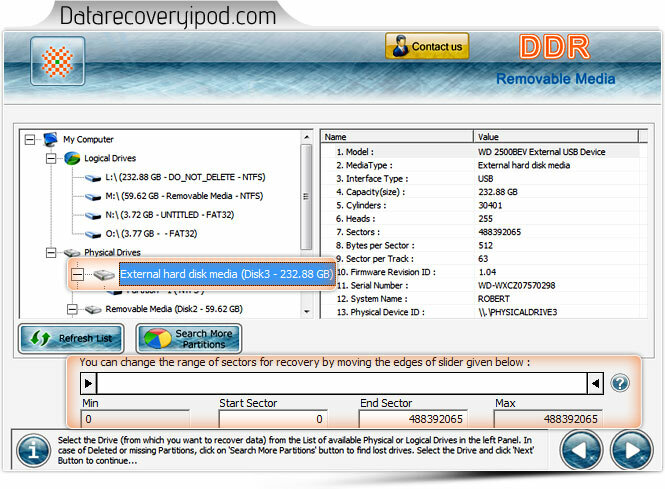 Click on external hard disk media from left side for recovery and details of disk is shown at right side and you can search data within specific storage of disk by moving the edges of slider. 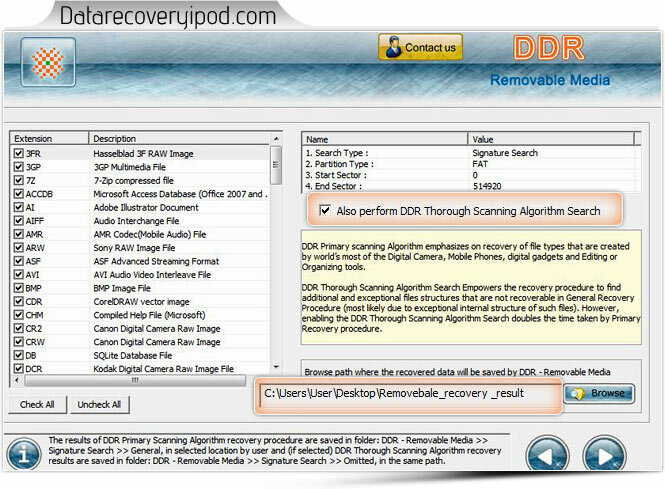 Select “Also Perform DDR Thorough Scanning Algorithm Search” to scan disk after general scanning and click on “Browse” button to select location where you want to save recovered data. 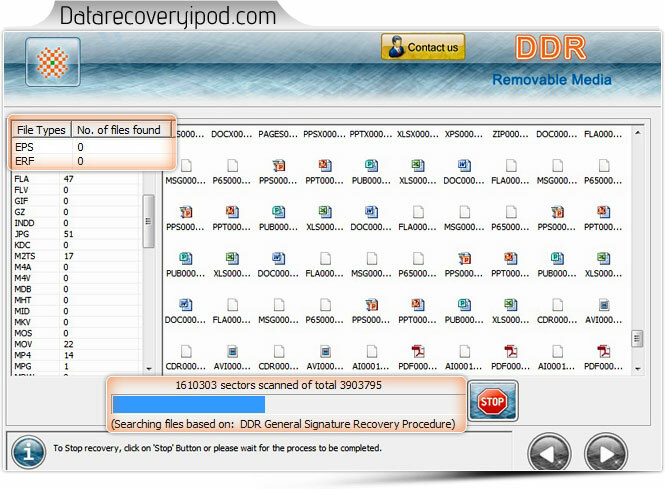 Currently Performing Disk Scanning to search lost files, at left penal of screen you can view total numbers of files found of different extensions.